NOTE: This is the fifth and final post in a series of Guest Posts used with permission from Pastor Jerry Johnson of Beacon Of Light Christian Center Church in Overland Park, Kansas. 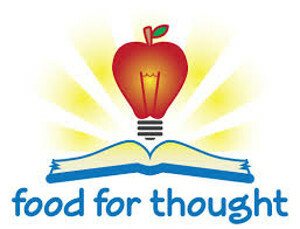 Questions or Comments about these "Bible Food For Thought" Posts, please call (816) 492-5916. CONTINUE READING: Bible Food For Thought (Part 5). Thanks for sharing these Biblical "tips" with us, Bill and Teddy. I will share, too. All the scriptures are great of course, however the one I can really appreciate is Psalm 68:19. Thank you Bill and Teddy for blessing the community with your posts each week. Liked and shared via Syndication Automation. Have a great day.